We do not curently have theatre tickets available for Innervisions Festival Presents - Aloe Blacc. This could be because we have simply sold out or it could be that this show is no longer running. The information on this page remains purely for historical and informational purposes. 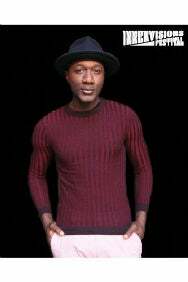 Aloe Blacc is best known for his UK No. 1 hits “I Need a Dollar&” and “The Man&” as well as his vocal on the global hit “Wake me Up&” by Avicii which reached #1 in 103 countries. Raised on salsa, merengue, and cumbia, Aloe Blacc fell in love with hip-hop as a kid and started writing rap songs when he was nine. With his lyrics drawing influence from socially conscious artists like KRS-One, he put out his first hip-hop mixtape at age 17. Later developing a fierce admiration for such soul musicians as Donny Hathaway and Marvin Gaye, he also discovered an affinity for folk-rock singer/songwriters during his college years. “One of the most important factors in my transition from hip-hop to being a singer was listening to people like Joni Mitchell, James Taylor, Kris Kristofferson, and Cat Stevens&,” Blacc says.